My ideology is simple, I expect my HC to field an elite unit on his side of the ball. So far I think McD can build a top 5 defense, if he can even just field a completely average offense we're golden. We have a ton of cap but I think the problem McD is going to have is his allowance. I think Terry is a fool if he let's McD spend 90 million. I would laugh hysterically if he did though and wonder how he became a billionaire. I'd like to see lots of 2-3 year deals we can get out of after 1 year. I know of a good offensive-minded head coach out in Pullman, Washington - but I doubt he’d come to Buffalo. The ignorance on this message board is plain laughable. McBeane has said several times they want to build through the draft and use cap space to sign the good, homegrown players to extensions. 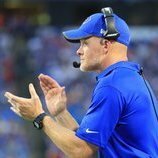 McDermott isn't going to go out there and completely eff up the cap situation in one offseason that he has spent the last two helping to clean up. Can we please pay attention as fans. Please. Mmmmm ok. I bet they spend 60 million or in that vicinity. Do you expect us to stay 90 million under the cap? Why would you even think that? And this guy calls the entire board ignorant lol... Ok buddy. Where did I say they were going to stay 90 million under the cap. Come on, dude. Your first post made it sound like you think they'll go out there and blow all this money in long-term contracts, without realizing that McBeane has said all along they want to use cap money to sign homegrown players. Guess what, there is this little thing called the collective bargaining agreement. NFL teams have to spend at least 90 percent of their cap each year. If McBeane wants to keep money for resigning players, then they'll probably make a few splashy signings, but mostly have depth guys on short-term or one-year deals. I was simply pointing out that you made a statement that was completely false, and had you actually followed this team you'd have known what you were saying was complete nonsense. What statement is false? 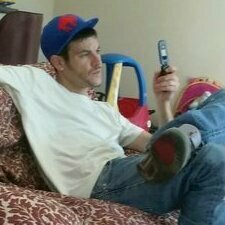 You accused me of saying that they were going to botch the cap, if you read my post you would see that I think Terry Pegula will put financial restraints on McD and Beane, so they won't even get the chance. Spare me the lengthy response, don't put words in my mouth again. If you want to have a discussion, it will be an intellectually honest one and not whatever this is. The bolded statement is false because McBeane has said repeatedly they were going to save cap room for signing homegrown talent. That's what I was pointing out. If you think Leach has built his career on winning games against over matched cupcakes, you aren't paying attention. The NFL is moving more and more towards the air raid offense. I think Leach would be a very interesting option in this NFL climate. Everybody making defense arguments I think are just missing how much the league has titled towards offense, with the rules in the last 2-3 years. And it’s not about to swing back. Take that 2007 Giants-Pats SB. The front four made Brady nervous, hit him just after throws, now those are 15 yard flags. Guys like Bradshaw, Jacobs, Manningham, made impacts, slower, physical runners and receivers. Modern NFL is all spacing and speed, those guys and that style are relics now. NE understands this, cut Blount, relay on smaller quicker guys like White, get them in space and the already hamstrung defenses can do little. Outstanding. Especially the last paragraph. I still can’t appreciate calling Belichick a defensive coach just because he came into the league and made his initial reputation on that side of the ball. He’s just as much a master of offensive football as well, as you alluded to. But I won’t quibble. Good post, Alpha. Quiet you - no one wants facts muddying up their opinions. The good teams are generally never well under the cap. They find ways to restructure, etc. It would be asinine to think there's a long term advantage to staying comfortably under the cap. Well, I suppose if your defense can put points on the board, that strategy might work. If your offense can’t score, you’re screwed. Statement of fact. The Sabres outscored the Bills last weekend. 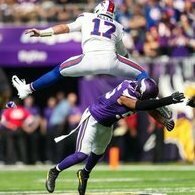 Cannot answer for this coming offseason, but the history of the Bills is we draft good players and watch them sign with other teams because they were "too expensive." Robert Woods comes immediately to mind as a recent example. We have potential young talent on this team; milano, edmunds, dawkins, lawson, white, yarbourgh, poyer, hyde and who knows how our rookies (7 active, 1 IR, and 4 PS) will pan out. Granted resigning these guys are a few years down the road, but blowing all our cap space in one year does not sound like the way to build a Consistent winner.